Most people know Saul Bass by his unique movie posters and opening movie credit design. He forged a new way of thinking about the design and elements relating to film and forever changed the designers role in the industry. If anyone knows when the Kleenex logo was created feel free to drop a comment. Can’t forgot the timeless identities of the illustrious Paul Rand! Wow! I had no idea Saul did these! They’re all fabulous but the Kleenex lettering is my favorite. I love the United Airlines and Girl Scout logos. Excellent examples of the use of negative space. Very impressive. It’s amazing how one person has so much in popular culture attached to his name. I recognized every single one of these logos, just not as the work of one artist. 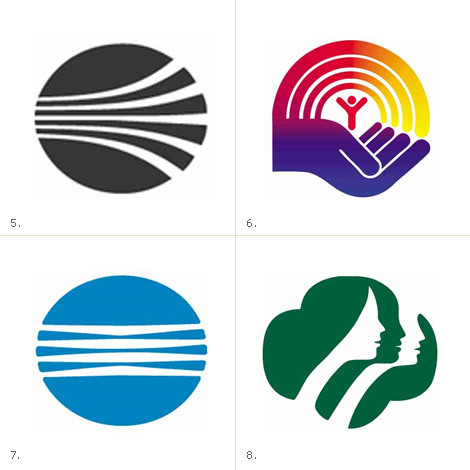 I didn’t know Bass created these logos until a friend showed me the book Saul Bass and Associates. I was floored at how much stellar work Bass was responsible for, almost in disbelief that one person could do so much work. Unfortunately the book seems to be out of print, but there’s a post about it over at Drawn.ca. Raymond Loewy designed the Exxon Logo in 1966. The original sketch, which is dated, is in his book entitled “Industrial Design”. Geneva Girl and Stuart, thanks very much for the corrections and additional information. I have adjusted the post accordingly. Its a shame that only designers can respect a persons work and not be recognized by the public for who we are. Designers don’t shape the world, politicians and businessmen do. Designers try to make the world look and feel less craptacular. Soulless and gawd-awful, like so much else from that time. Fans of Saul Bass should check out the one motion picture he directed, Phase IV. Phase IV is about a mysterious event (Phase I) that makes the Earth’s ants super-intelligent -not giant ants, or radioactive ants, just regular tiny creatures. Phase II: the ants unite, Phase III they wipe out enemy species, Phase IV: -well, you have to see the film. Their hives are moody and precise geometric constructions, not the usual mud-holes, and the micro-photography of the ants at home is amazing. A really striking film, visually, as you might expect from Bass. He also designed the storyboards for Hitchcock’s famous Psycho shower scene, although H gets credit for it. The Avery logo was created around 1990 by Saul Bass, an Academy Award winning film maker. He was a graphic designer best known for his motion picture title sequences. 1. The Pressure-sensitive Materials segment manufactures and sells pressure-sensitive roll label materials, films for graphic applications, reflective highway safety products, performance polymers, and extruded films. 2. The Office and Consumer Products segment manufactures and sells various office and consumer products, including labels, binders, dividers, sheet protectors, and writing instruments. 3. The Retail Information Services segment designs, manufactures, and sells various price marking and brand identification products, including tickets, graphic and barcode tags and labels, woven and printed labels, and related supplies and equipment. These logos truly exhibit the far reaching expanse of good logo design. The timeliness is never outdated. The design is still as strong today as when it was first created. Thanks for sharing! I can’t see the difference in the Exxon logo – Loewy’s original to Bass’s revision. Anyone know what changed? 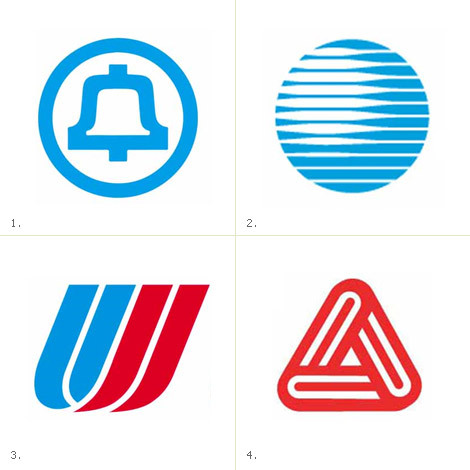 Riddle me this: which of the logos above are still used today, in exactly the same form as above? Which of the companies still exist today? And have not been acquired by another entity? Bob Lee, thanks very much for the insightful comment about the Avery logo. A very interesting read. Monte, thanks for your comment about the film “Phase IV”. I first read about the film when I was in junior high school, and I’ve been trying to find it ever since (it is not available on DVD in the U.S.) — now I am stoked to learn that Saul Bass directed this film! INSPIRATION? Not entirely true. Saul Bass, at best, tweaked the Exxon logo. It is not a revision. I looked up the original logo in Loewy’s monograph, Industrial Design. Saul Bass removed the thick blue rule under the logotype. Whatever you want to call it, tweak or revision, his changes do not rise to the level of inspiration. The inspiration belongs entirely to Raymond Loewy. To be idiotically consistent, why not feature the revision of the AT&T logo by FutureBrand? Hopefully, that revision didn’t inspire you. Monte, I had no idea Bass directed a film outside of this credit sequences. Thanks very much for the heads up, I’ll be hunting down Phase IV for sure. John, Saul Bass’ involvement with the Exxon logo (no matter how slight) was already addressed in my post and by other readers. Thanks for your time. As much as I am an admirer of Saul Bass’ visual identity work I feel it is misleading to include EXXON in this group. Although Bass may have made minor revisions to it this is the work of Raymond Lowey. sum up saul bass in one word. ….BRILLIANT! Bass also directed “Why Man Creates”, an animated trek through time from pre-history to modern times. A classic, hard to find, but worth it. IMDB has him credited as directing 7 films total. BTW, “Why Man Creates” won the Documentary Short Subjects Oscar in 1969. 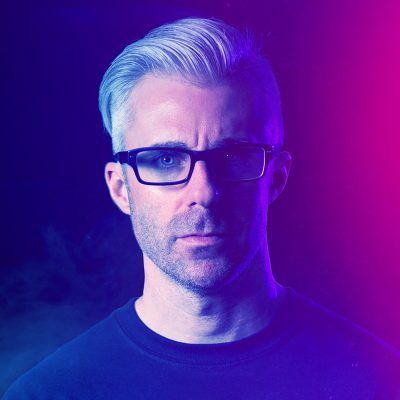 Horribly late, I know, but for posterity: every member of the cast and crew dispute this assertion (which was made by Bass himself). The man was a great designer, but kind of a fibber. My father, Harry Jacobs, hand lettered the Kleenex logo for Saul. He was Saul’s favorite hand-lettering artist and did a lot of work for him in the early days, when Art Goodman was Saul’s art director. Art also worked in my father’s art sudio in the 50’s called The Wilshire Art Group. My dad also taught at Chouinard Art Institute, (future Cal Arts school in Valencia, Ca.) I attended Art Center College of Design in L.A., and have taught there as well. Both of my sons graduated from Art Center, and own their own design firms. http://www.titanadgroup.com, http://www.unitedfuture.com. My father passed away in 2000, at the age of 93. Ray, thanks very much for your thoughtful and insightful comments. I’m thrilled to see just how many greats you have met and worked with over the years, many of which are among my design heroes. So fortunate to have witnessed so many great projects at such an important time in design evolution. Most of all, it is wonderful catch a glimpse of design history based upon your experiences and story. I do quite a lot of reading about design from the 50s onward so it’s awesome to hear about specific design studios where the people who forged the industry worked. Wow, great post. What timeless logos. tammanycall – there is no basis for you to go throwing around accusations that Saul Bass was a liar. At worst his comments have been taken out of context and misunderstood. At best, it’s Hitchcock’s honesty that would be more in question in this matter. Bass was indeed responsible for creating that incredible shower scene, just not as the on-the-spot director. The question that the cast and crew were asked was if Saul Bass directed the scene on the set and of course he didn’t. Bass never said he did. Bass’s assertion was that he PARTICIPATED in the direction. And indeed he did participate in the direction, very much so, as you’ll see if you look at the story boards. But Bass’s participation in the direction was at the story-board stage, his directions were on paper. Hitchcock simply put them on film. People got their knickers in a knot without stopping to think about what’s involved in directing and how many ways there are to participate in directing without actually being on set telling everyone what to do. When Hitchcock directed this scene he followed the storyboards created by Bass so slavishly that the actors are renowned for having complained about how specific and regimented Hitchcock was in sticking to the exact details of “his” story-board. For the most part the actors were not told the story-boards were created and devised by someone else. And this is why Bass is credited in the films titles (albeit grudgingly as being for “Pictorial graphics” as well as separately for designing the titles) and it’s also why the scene is so very reminiscent of Bass’s style. IMO He should have been given more credit for his work on this scene but Bass didn’t seem to mind too much. 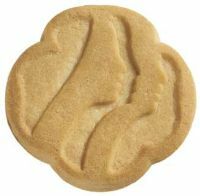 He stole the Girl Scout logo from the cookie! It’s an exact rip off! Jelly, I would assume the cookie was based on the logo, not the other way around. But hey, I could be wrong. So many victims here. The disregard for the for thoughtful design and it’s history is staggering: Not only did some group of big-business geniuses scrap the name of the inventor of the telephone: BELL, in favor of the made up soulless moniker VERIZON, they also threw out the simple and iconic logo. All in the name of being “contemporary” no doubt. These two cases are a sad commentary of the state of graphic designed in corporate America. The Kleenex one is on the uspto.gov site and shows it registered in 1993 (applied in 1992). I believe Kleenex was launched in 1924 and the logo was used on the box so unless i’m wrong that would be the year the logo was created. I’m inspired by this good post. Please what’s the difference between Saul Bass and Paul Rand? And James, please can you post something about the uniqueness of these Saul and Paul? Thanks.